The following post is largely taken from “The Development of Implantable Medical Devices at The Applied Physics Laboratory” By Robert E. Fischell. 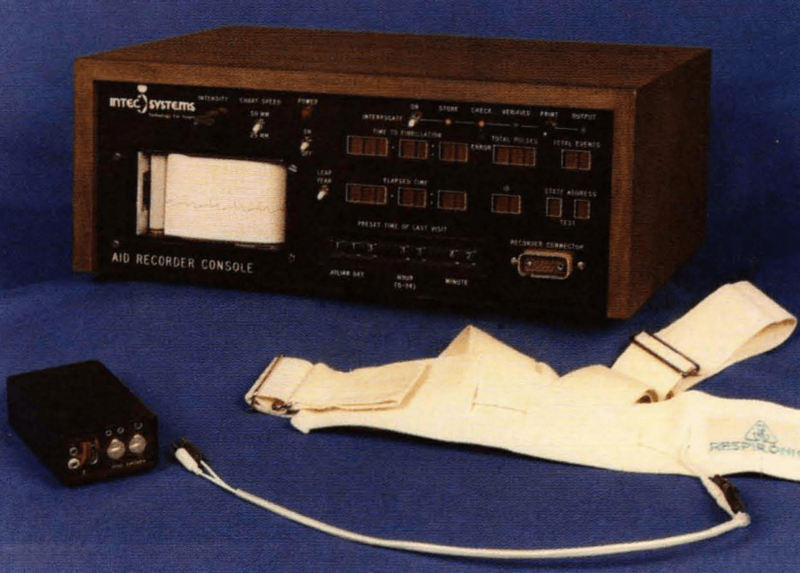 It documents the history of a number important and common devices seen today including the ICD, which I’m sure many SCA survivors are familiar with but may not know the history of it’s development. 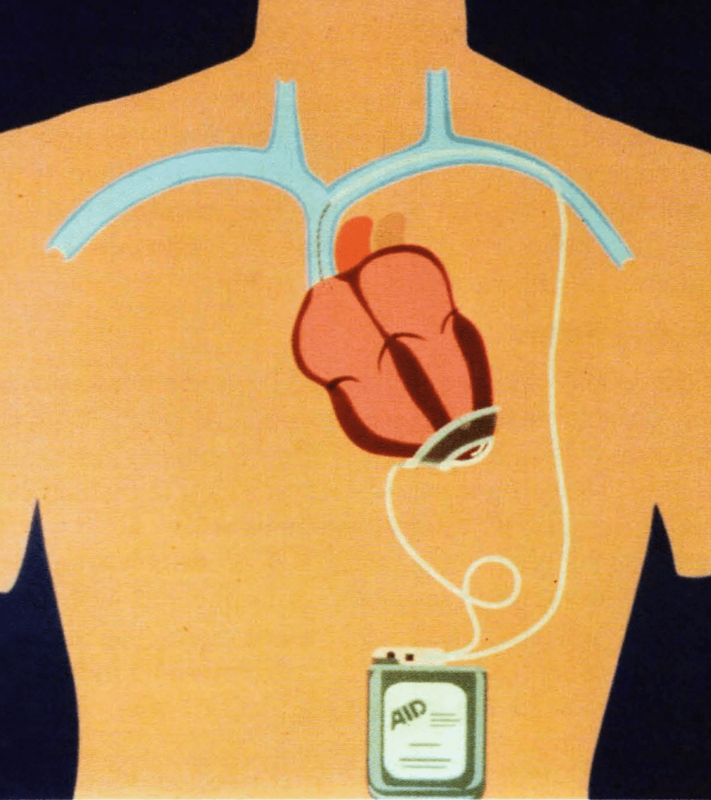 Shortly after the rechargeable pacemaker development work began at John Hopkins University Applied Physics Lab, Dr. Michel Mirowski, a cardiologist at the Johns Hopkins School of Medicine and the Sinai Hospital of Baltimore, conceived the Automatic Implantable Cardiac Defibrillator (AICD). The AICD was to be implanted just under the skin in the upper abdominal area of patients at risk for ventricular fibrillation, which is a rapid, uncoordinated contraction of heart fibres brought on by a severe disturbance of cardiac electrical actIvIty. The shape of the AICD is similar to that of commonly used heart pacemakers, but its function is markedly different. About the size of a cigarette package, the implanted defibrillator is programmed to monitor the heart continuously, recognise life-threatening arrhythmias, and automatically deliver electric shocks through electrodes directly in contact with the heart to restore the normal rhythm. The highly miniaturised version of the bulky conventional defibrillator does essentially what doctors do in emergency rooms when they apply a powerful external shock to a patient suffering from this form of episode. Because it is implanted, the defibrillator uses only a fraction of the voltage needed externally to accomplish the same thing. Most importantly, the implanted defibrillator automatically makes the diagnosis and implements the appropriate therapeutic decision. Thus, its unique advantage is its permanent availability to the patient without requiring the presence of special personnel or bulky equipment. Having heard of APL’S high-technology capabilities, Dr. Mirowski sought out the Laboratory ‘s assistance in 1974. Among the first improvements in the AICD instigated by APL was the introduction of the same satellite reliability and quality control techniques that had been applied to component selection, fabrication, and test procedures for APL spacecraft. These were the same techniques that had made a success of the rechargeable pacemaker. Furthermore, a system was created by the APL engineers for alerting the patient with a subcutaneous buzzer when an episode of ventricular fibrillation had occurred. Further, APL developed a system for holding in digital form the patients electrocardiogram (ECG) for 10 s before and 15 s after a fibrillation event. Both features were designed to provide the physician with an improved understanding of how to apply the AICD therapeutically. To verify how well such an alarm and recording system would work without interfering with progress toward completing an implantable version of the AICD, funding was obtained from NASA to develop an external system capable of recording the ECG both before and after the fibrillation event. 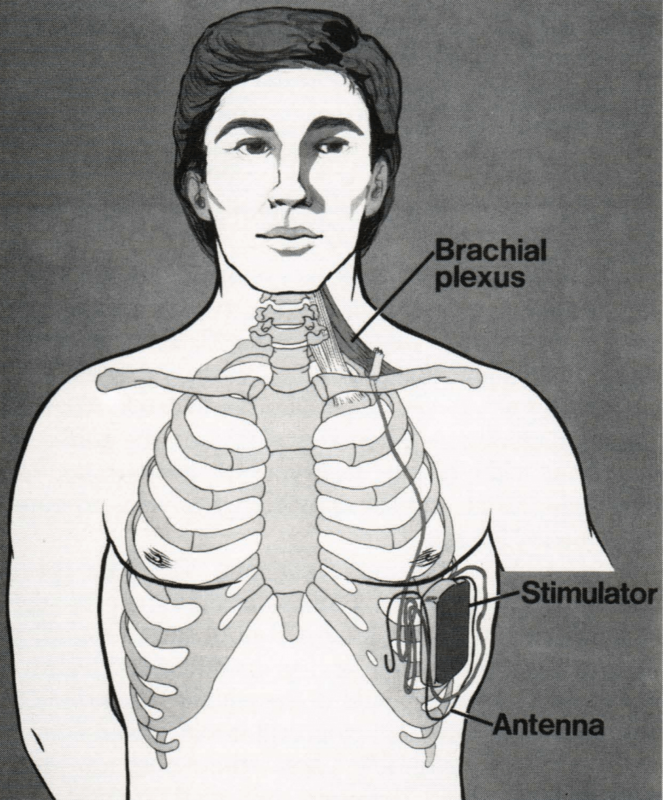 The first implant was performed by Johns Hopkins surgeon Dr. Levi Watkins, Jr., on 4 February 1980. The first patient was a 47-year-old woman from San Mateo, California, who had experienced two episodes of ventricular fibrillation but had miraculously survived. The glass-enclosed gallery above the operating room included many engineers and scientists who had been working on the AICD development for many years. The attendees were surprised to see that the surgery was much more extensive than that for a pacemaker implant. For these first AICD patients, the entire rib cage was opened until the heart lay clearly visible for the surgeon to attach the cup electrode at the bottom (apex) of the heart. The vena cava electrical lead was then carefully inserted into the large vein above the patient’s heart. Everything was now ready for placing the AICD device subcutaneously just under the abdominal skin. The surgeon turned away from the operating table and asked the nurse to hand him the AICD, which was contained in a sterilised pouch. Ten people in the operating room and twice that number in the gallery gasped when the nurse opened the pouch and then dropped the AICD on the floor! One thing learned from spacecraft operations was to have spare parts available. In this instance, a second AICD unit had already been placed on the sterile table, and it was taken out of its pouch with great care. Dr. Watkins proceeded calmly to implant it in the patient, connect the leads, and close the incision. Because the AICD had never been tested in a human subject, it was decided to evaluate the device’s performance in the first patient under very controlled conditions. These “controlled” conditions really became an extraordinary experiment in the catheterisation laboratory. The only way to tell if the AICD functioned properly was to stop the patient’s heart from beating by sending a strong electric current through the heart muscle so that the heart would go into ventricular fibrillation. The AICD would then (hopefully) automatically restart the heart. As a backup for the AICD, an external defibrillator was close at hand and ready to go to work. 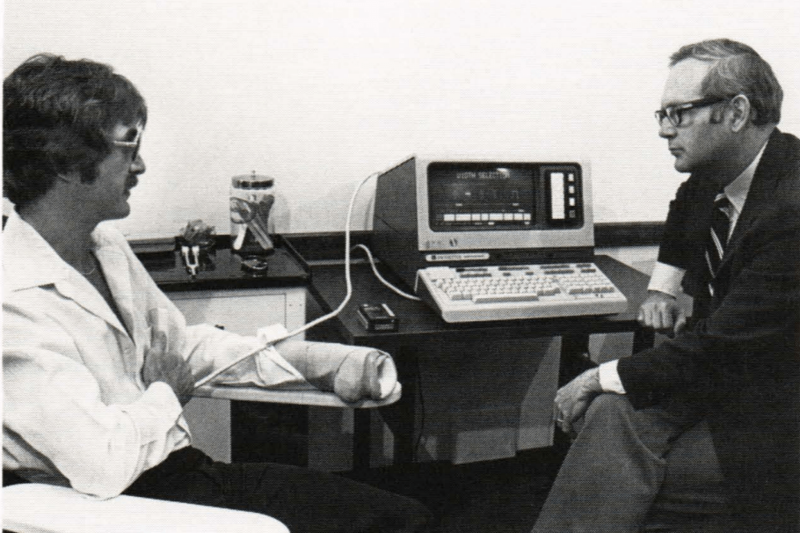 The first test of APL’s ECG recording system was to record the entire event. With the catheterisation laboratory filled with a dozen people, Dr. Philip Reid directed the critical first test on 22 February 1980. It took quite a while to drive her heart into the typically fatal rhythm of ventricular fibrillation, during which time the tension rose in the crowded room. Finally, the CRT display showed the classical EGG signal that indicated fibrillation. After ten years of effort, the real moment of truth for the AICD system was at hand. In about 15 seconds, the AICD was to sense the lethal rhythm and fire a 600-Volt pulse into the heart. But that did not happen! At 30 seconds, with no response from the AICD, Dr. Reid started charging the external defibrillator. He placed the paddles on the woman’s chest and yelled “stand back” when, at last, the AICD “automatically” fired. After an 8-second post-shock recorder recovery time, the patient once again displayed a normal ECG signal. Only a short portion of the 40 seconds of time that the patient was in ventricular fibrillation is shown. It was probably the longest 40 seconds that the attendees had ever endured, but the AICD fired and promptly restored the patient’s heartbeat to a normal rhythm. Next PostNext Dr Tom Keeble – Southend Hospital – NHS Hero!